The exhibition is an encounter with a circular movement of varied orientations formed by Danish contemporary artists at Street Art Museum in St. Petersburg. The artists are all part of the Danish art archive Artistoftheweek.dk, an inviting community where each artist gives rise to the next in a circulatory system – either encouraging the formation or taking parting turns in a circuit and continuum of a repeated path, collisions and rebirth. The exhibition is an itinerary of continuous curves around an open center dealing with layers of inner realities, exploration of social landscapes, mythical governance and global intervention navigating possibilities of how art, the public and society can interact relationally. 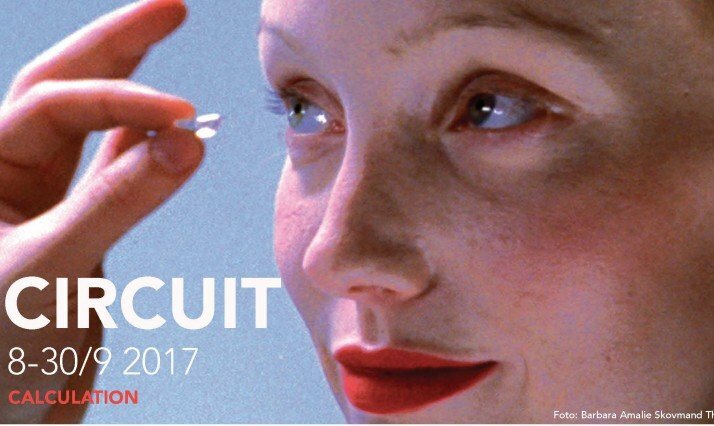 “Curcuit” is initiated by the international platform Calculation by curator Kirstine Skov-Hansen and Valentina Makarova-Sekisova. The project is based on intersecting artistic contacts between different countries in the field of contemporary art and is devoted to iterative interactions of general artistic representational process, aimed at further development of cooperation, interdisciplinary connections and intercultural research. The Curcuit exhibition will be accompanied by an exhibition programme including site-specific performances, live-concerts, artist talks, screenings and much more. Anne Kathrine Sørup, Barbara Amalie Skovmand Thomsen, Berit Dröse, Flemming Rolighed, Heidi Hove, Lars Vilhelmsen, Morten Ernlund, Pernille With Madsen, Steffen Levring, Ulla Eriksen. Artistoftheweek.dk, Paideia Art School, Art Tube, Semenov Library and Russian Center for Science and Culture. The exhibition is supported by Danish Cultural Institute in Russia, Danish Arts Foundation, Folmer & Helle Wisti fonden for international forståelse and Andreas Harboes Fond. Photos: Heidi Hove and Barbara Amalie Skovmand Thomsen.